[RR] forced resignation once DECLAS FISA docs drop. 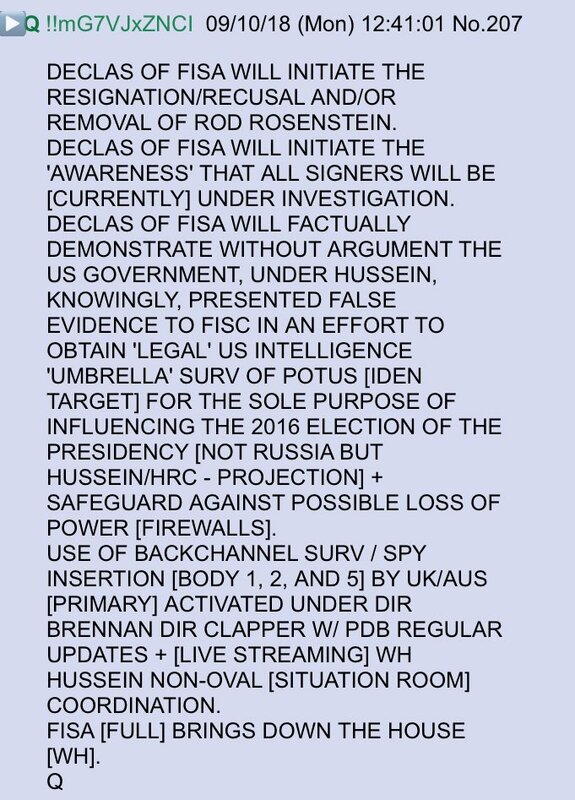 Horowitz expediting DECLAS since RR can not do it. Comey / McCabe cooked up RR wiretap NYT story to bait DJT to cross red line firing RR. FISA signers under the grand jury investigation. UK / AUS (+ others) cooperating? “Skyfall” plot? It was to respond to this earlier drop (# 281) to emphasize Comey / McCabe plot to bait @ realDonaldTrump into firing [RR], crossing “red line” = “OBSTRUCTION” re: Mueller SC “Russian collusion” investigation. Fully DECLAS FISA brings down Hussein [WH]. This post is an outline, but I digress, many thought that #POTUS was backing down on the #DECLAS. Here #Q’s dialogue tells of the intent to avoid the pressure to #FireRR by be patient & waiting for #IGHorowitz to release the once #Classified & or #Redacted #DataSets. #Horowitz was the go to to prevent the #Left from using it’s #Playbook which would doubtless include efforts to expose the ways & means that this effort continues to expose #Corruption in #DC. This will also negate any #Mueller #TalkingPoints from slowing the process. Everything will be exposed & #Rosenstein will have to step down #RR was forced into a position whereby continued efforts at #FISAWarrent applications & or continuances had to be stopped. The #Signers are under #GrandJury investigation now. #McCabe leaked the to the #NYTimes & this shows how there is a #Panicked effort by each of the #Conspiritors to salvage what they can of any hope of leniency in the coming trials. 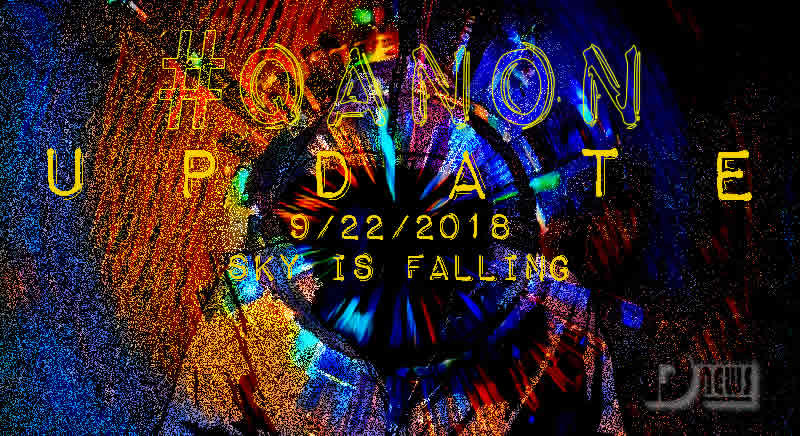 This entry was posted in Uncategorized and tagged Disclosure News Italia, Full Moon Sept. 24, love, QAnon. Bookmark the permalink.